Over the weekend I watched the hallmark movie, Let it Snow. It was a sweet show about a family resort that celebrated Advent and had various traditions from around the world. I thought it would be fun to do a post about traditions around the world, ideas to make your holidays even more special and memorable. AROUND THE WORLD: Here are some ideas from around the world. Swiss: In this part of the world gifts are brought by the ‘ChristKind’ or St. Nicholas or even Father Christmas. THe week before Christmas, children dress up and visit homes with small gifts. Bell ringing and mass is followed by family gatherings where huge homemade doughnuts, called ringli and hot cocoa are shared. Here is a fun tradition you could invite your family to join in…Saint Lucia’s Day, December 13, in the first light of dawn the oldest daughter dresses in a white robe and wakes the rest of the family to serve them breakfast. Russia: In this part of the world St. Nicholas is especially popular. The Christmas Eve dinner is meatless but festive. The most important part of the meal is a special porridge called kutya. It is made of wheat berries, which symbolize hope and immortality, and honey and poppy seeds which ensure happiness, success and untroubled rest. Fun Tradition: Try a meatless dinner that you make together as a family OR do something special with poppy seeds in your breads. Australia: In this part of the world the holiday is in the middle of the summer, so it is usually enjoyed going to the beach and having a family picnic. They decorate Christmas bushes, hang wreaths and have contests for the best light displays. When Santa arrives to Australia he gives the reindeer a rest and uses six white ‘boomers’ (kangaroos) and changes his clothes so he is not so hot!! The main Christmas meal is eaten at lunch time and is usually a bbq or fish. Fun Tradition: Have a fun Christmas bbq during the holidays. France: Santa is known as Pere Noel. They have a special dinner at midnight on December 24th called Le Reveillon. Fun Tradition: having a special dinner on Christmas Eve, but I also like the idea that there is a special place (shoes/stocking) where a special gift can be left to remind us of the baby Jesus. From Germany: Put out wooden shoes (or you can put shoes or boots near the fireplace) out on December 6th. Have everyone in the family buy a tiny present to put in the shoes for one another OR you could have each person write something nice about the other members of your family. A few years ago I found some wooden clogs on a local classified post & we cut strips of paper & write kind things & then we share them over dinner. From England: English Crackers, colorful paper tubes with small toys and candy inside. When pulled apart, the traditional crackers make a loud snapping noise, giving the crackers their name. Make these at home from toilet paper tubes. Stick tiny story books, hard candy, chocolates and small toys inside each tube and stuff some tissue paper in after them to keep them from falling out. 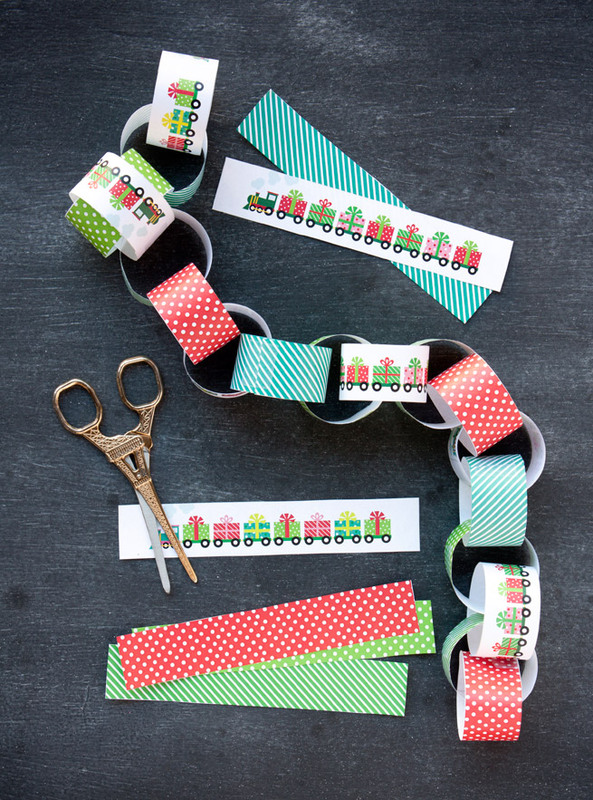 Wrap each tube in wrapping paper, gathering the ends of the wrapping paper and tying them closed with ribbon. The next day, your children can each grip the end of a cracker and pull them apart. They won’t make noise, but you can sprinkle glitter or confetti on the inside of the wrapping paper for an extra surprise. From China: Include a paper chain on your Christmas tree. At our home we invite all our guests to write something they are grateful for on a strip of wrapping paper and then we chain them together. From Denmark: make homemade tree decorations and then gather around the tree and sing hymns. Feast of the Seven Fishes: The Feast of the Seven Fishes is part of the Italian-American Christmas Eve celebration. Today, it is a feast that typically consists of seven different seafood dishes. It originates, however, from Southern Italy, where it is known as The Vigil (La Vigilia). However, some Italian-American families have been known to celebrate with nine, eleven or thirteen different seafood dishes. This celebration commemorates the wait, the Vigilia di Natale, for the midnight birth of the baby Jesus. Building Gingerbread houses: It is widely known that monasteries were one of the first places to sell gingerbread. It wasn’t until gingerbread found its way to Britain that it started being painted. 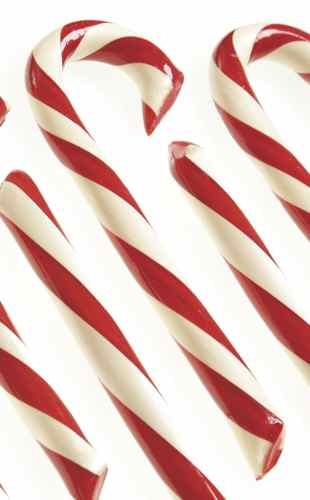 It was displayed in shop windows and became the popular holiday treat we now know today. Special Ornaments for the Tree: It is often a favorite tradition for families to purchase a new ornament to symbolize the new year or the previous memories from the year. 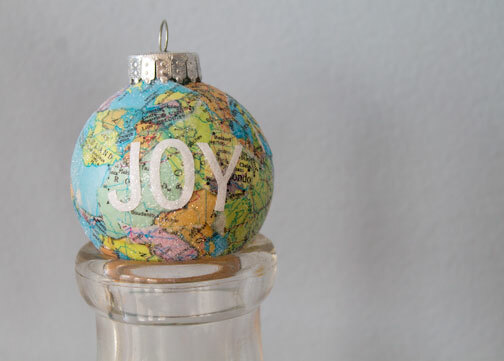 Many ornaments are also purchased to symbolize firsts. Lighting of the Christmas tree: This is a great and in-depth article of the origins of lighting of the christmas trees. http://gizmodo.com/5425395/christmas-lights-the-brief-and-strangely-interesting-history-of This is a beautiful tradition that lights up the holiday season, during one of the darkest periods of the year. Thank heavens for light! Christmas wasn’t widely celebrated in the United States until the 1800s, however, because of the Puritans’ influence. As a result, decorated trees did not become widely popular until people saw the ornaments brought to America by families emigrating from Germany and England in the 1840s. Ornaments became a big hit. F.W. Woolworth of five-and-dime fame had reluctantly stocked his stores with German-made ornaments in 1880. By 1890, he was selling $25 million worth of ornaments at nickel and dime prices. 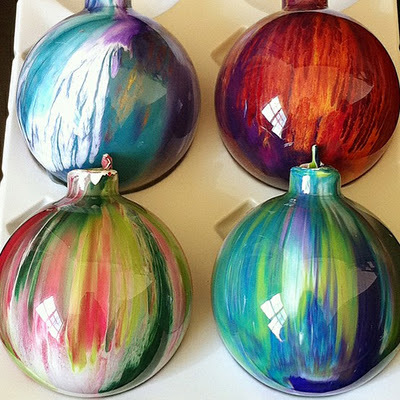 The ornaments available at that time primarily were German hand-cast lead and hand-blown glass decorations. As time passed, the ornaments became more elaborate – and expensive. Silk and wool thread, chenille and tinsel embellished many of them. Stiff spun glass appeared as angel and butterfly wings; tinsel was used on fancy flower baskets, vases, air balloons and egg zeppelins. Many years ago, a candymaker wanted to make a candy at Christmas time that would serve as a witness to his Christian faith. He wanted to incorporate several symbols for the birth, ministry and death of Jesus. He began with a stick of pure white hard candy. The white symbolized the virgin birth and the sinless life of Jesus. He made the candy hard to symbolize the that Jesus is the solid rock and the foundation of the church. The firmness also represents the promises of God. The candy maker made the candy in the form of a “J” to represent the name of Jesus, who came to earth as our Savior. He thought it could also represent the staff of Jesus, the Good Shepherd. The candy maker then added red stripes. He used three small stripes to show the stripes of the scourging Jesus received, by which we are healed. The large red stripe was for the blood shed by Christ on the cross so that we could be forgiven and have the promise of eternal life. The flavor of mint is similar to hyssop. In Old Testament times, hyssop was associated with purification and sacrifice. St. Nicholas was a Christian bishop who provided for the poor and sick, and is the basis for the popular character of Santa Claus. Born in Patara, a land that is part of present-day Turkey, circa 280, St. Nicholas was a Christian bishop who helped the needy. After his death, the legend of his gift-giving grew. St. Nicholas transformed into the legendary character called Santa Claus, who brings Christmas presents to children around the world.Early Life: St. Nicholas was born sometime circa 280 in Patara, Lycia, an area that is part of present-day Turkey. He lost both of his parents as a young man and reportedly used his inheritance to help the poor and sick. A devout Christian, he later served as bishop of Myra, a city that is now called Demre. Reputation: There are many legends about St. Nicholas of Myra. One story tells how he helped three poor sisters. Their father did not have enough money to pay their dowries and thought of selling them into servitude. Three times, St. Nicholas secretly went to their house at night and put a bag of money inside. The man used the money so that one of his daughters could marry. On the third visit, the man saw St. Nicholas and thanked him for his kindness. He also reportedly saved three men who were falsely imprisoned and sentenced to death. Death and Legacy: Several sources state St. Nicholas is believed to have died on December 6, 343. Over the years, stories of his miracles and work for the poor spread to other parts of the world. He became known as the protector of children and sailors and was associated with gift-giving. He was a popular saint in Europe until the time of the Reformation in the 1500s, a religious movement that led to the creation of Protestantism, which turned away from the practice of honoring saints. St. Nicholas, however, remained an important figure in Holland. The Dutch continued to celebrate the feast day of St. Nicholas, December 6. It was a common practice for children to put out their shoes the night before. In the morning, they would discover the gifts that St. Nicholas had left there for them. Dutch immigrants brought St. Nicholas, known to them as Sint Nikolaas or by his nickname Sinter Klaas, and his gift-giving ways to America in the 1700s.In America, St. Nicholas went through many transformations and eventually Sinter Klaas became Santa Claus. Instead of giving gifts on December 6, he became a part of the Christmas holiday. 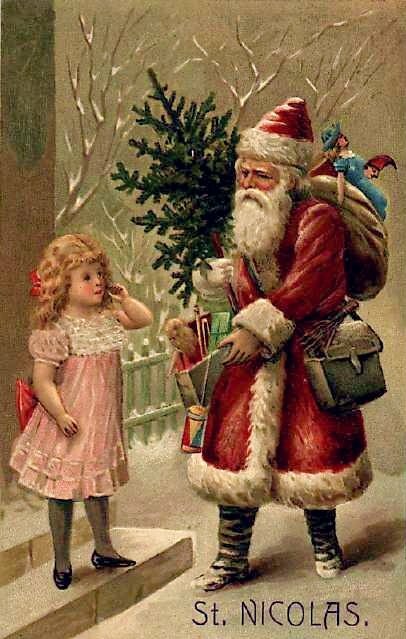 In the 1820 poem “An Account of a Visit from St. Nicholas” by Clement Clarke Moore, he is described as a jolly, heavy man who comes down the chimney to leave presents for deserving children and drives a sleigh pulled by flying reindeer. The cartoonist Thomas Nast added to the St. Nicholas legend with an 1881 drawing of Santa as wearing a red suit with white fur trim. 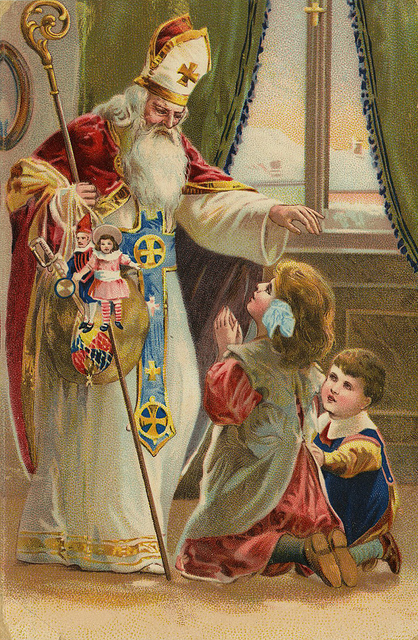 Once a kind, charitable bishop, St. Nicholas had become the Santa Claus we know today. I hope these ideas have got you thinking of your holiday season and making them even more memorable. Traditions make memories. The holidays are a wonderful time to bring everyone together. Remember the word HOLIDAY is derived from HOLY DAY. Begin today to make each of the upcoming holidays HOLY. Best wishes to you in all you do.